Affordable housing is a tough proposition for developers and getting tougher as the costs of development rise. As subsidies wane and regulations and environmental requirements increase, the math of building affordable housing becomes closer to impossible. In large developments, the land becomes a giveaway to a builder and smaller developments rely on the in-lieu fee to stay feasible. Attainable housing and a breadth of housing choices is important and necessary for a region. It will continue to take meaningful efforts on the part of the local jurisdiction, developer, builder and community to make it happen. Mercy Housing California is developing a mixed-use community – 623 Vernon Street Apartments – in downtown Roseville that includes 58 affordable family apartments and 2,900 square feet of retail space. The development will include one, two, and three bedroom apartments and will serve individuals and families earning from $14,580 to $45,000 per year. Rich Ciraulo, Senior Project Developer with Mercy Housing, recently spoke with us about this project and on building affordable housing in Roseville and the region. Often, when folks talk about downtown housing development, they’re talking about high-end, high-rent apartments intended to attract young professionals. This can be an important component of a downtown revitalization strategy, but if a community chooses to do this exclusively, they are effectively shutting out the labor force supporting many of the amenities people want to see in their city. We want to ensure we are also providing affordable places to live for the people working in the restaurants, shops, schools, and other services that make our communities rich and complete. 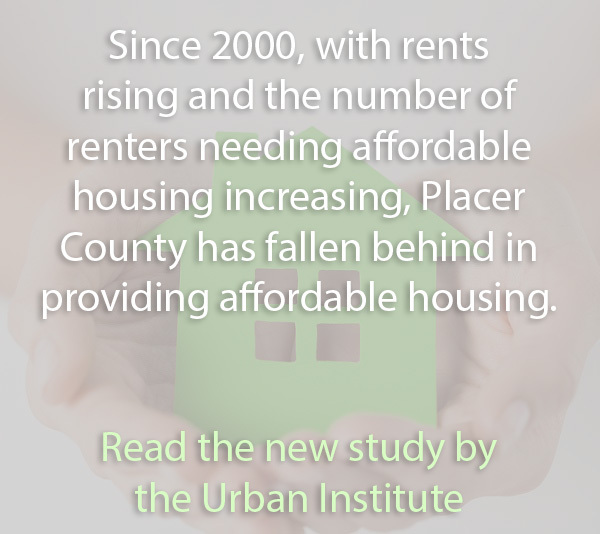 Perhaps the largest challenge to the development of affordable housing is finding sources of funding to support it. In the case of the City of Roseville, they had set aside housing funds that they were able to commit to 623 Vernon Street Apartments. With this local funding commitment, we were able to successfully compete for additional state funding that makes up the largest part of the development’s financing. As you can imagine, this state funding (which comes in the form of tax credits which are then sold to an equity investor) is a limited resource and is very competitive. To obtain this funding, a development must score as many points as possible, and a significant way to gain points is directly tied to the amount of local funding committed. So in essence, developments with strong local financial support are better able to compete for additional funding coming from outside sources. Another significant challenge to the development of affordable housing is finding adequate sites. Developable land is at a premium in most of our communities and the land needed for a successful affordable housing development is often challenging to find. Sites need close proximity to a number of amenities that will best serve the future residents and that will enable the development to score well in competitive funding rounds. In order to score well, a site must be close to public transportation, schools, a grocery store, a public library, a park, and medical facilities. When Mercy Housing responded to the City of Roseville’s Request for Proposals, the city had already identified potential affordable housing sites—which is an example of the city planning ahead and taking steps necessary to identify potential locations that meet the criteria needed for funding. This is important because if the city has gone to the trouble of finding sites that can be developed for housing and it is clear that these sites meet all of the necessary criteria, it makes it a much more attractive site to develop. One of the other advantages for 623 Vernon Street Apartments was that we were able to go through a Modified Design Review Permit (MDRP) process. The city has a specific plan for the downtown area and new projects proposed within the plan area that meet the criteria defined in the plan can enjoy a streamlined approval process. And that’s fantastic for an affordable housing development where you have rigid deadlines associated with most of the competitive funding sources that we utilize. The approval process was clearly laid out, efficient, and included an opportunity for community input and a forum to voice any concerns about the proposed development. As an affordable housing developer, it’s always great to work with a local jurisdiction like the City of Roseville that is proactively working to make affordable housing happen. It is clear that the City of Roseville has the desire, the commitment, and the political will to ensure affordable housing is being built in their community.